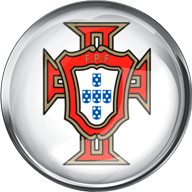 Match ends, Portugal U21 3, Italy U21 2. Second Half ends, Portugal U21 3, Italy U21 2. Attempt missed. Gianluca Mancini (Italy U21) header from very close range misses to the left. Assisted by Christian Capone with a cross following a corner. Corner, Italy U21. Conceded by Diogo Leite. Attempt blocked. Federico Bonazzoli (Italy U21) left footed shot from the centre of the box is blocked. Assisted by Gianluca Scamacca. Corner, Italy U21. Conceded by André Vidigal. Attempt missed. Federico Bonazzoli (Italy U21) left footed shot from outside the box is high and wide to the left. Assisted by Davide Calabria with a cross. Gil Dias (Portugal U21) is shown the yellow card for a bad foul. Christian Capone (Italy U21) wins a free kick in the defensive half. Foul by Gil Dias (Portugal U21). Foul by Christian Capone (Italy U21). João Félix (Portugal U21) wins a free kick on the right wing. Corner, Portugal U21. Conceded by Simone Scuffet. Attempt saved. Heriberto Tavares (Portugal U21) left footed shot from outside the box is saved in the top centre of the goal. Assisted by Gil Dias. Substitution, Portugal U21. André Vidigal replaces Fernando Fonseca. Substitution, Portugal U21. João Queirós replaces Jorge Fernandes. Attempt missed. Gianluca Scamacca (Italy U21) right footed shot from outside the box is just a bit too high following a corner. Corner, Italy U21. Conceded by Jorge Fernandes. Foul by Matteo Pessina (Italy U21). Bruno Costa (Portugal U21) wins a free kick in the attacking half. Attempt saved. Federico Dimarco (Italy U21) left footed shot from outside the box is saved in the bottom left corner. Assisted by Matteo Pessina. Luca Valzania (Italy U21) wins a free kick in the attacking half. Foul by Diogo Leite (Portugal U21). Substitution, Italy U21. Enrico Brignola replaces Nicolò Barella because of an injury. Sebastiano Luperto (Italy U21) is shown the yellow card for a bad foul. Foul by Sebastiano Luperto (Italy U21). João Félix (Portugal U21) wins a free kick in the attacking half. Delay in match Nicolò Barella (Italy U21) because of an injury. Substitution, Portugal U21. Diogo Leite replaces Ferro. Attempt missed. Federico Bonazzoli (Italy U21) left footed shot from outside the box is close, but misses to the left. Assisted by Gianluca Scamacca. Attempt saved. João Filipe (Portugal U21) right footed shot from outside the box is saved in the centre of the goal. Assisted by Bruno Costa. Substitution, Italy U21. Luca Valzania replaces Alessandro Murgia. Substitution, Italy U21. Gianluca Scamacca replaces Vittorio Parigini. Corner, Italy U21. Conceded by Diogo Costa. Attempt saved. Alessandro Murgia (Italy U21) header from the centre of the box is saved in the bottom right corner. Assisted by Davide Calabria with a cross. João Filipe (Portugal U21) is shown the yellow card for a bad foul. Federico Bonazzoli (Italy U21) wins a free kick in the attacking half. Foul by João Filipe (Portugal U21). Substitution, Italy U21. Federico Dimarco replaces Raoul Petretta. Substitution, Italy U21. Matteo Pessina replaces Manuel Locatelli. Attempt blocked. João Filipe (Portugal U21) right footed shot from outside the box is blocked. Assisted by João Félix. Attempt saved. Bruno Costa (Portugal U21) right footed shot from more than 40 yards on the right wing is saved in the bottom right corner. Foul by Manuel Locatelli (Italy U21). Offside, Italy U21. Raoul Petretta tries a through ball, but Gianluca Mancini is caught offside. Corner, Italy U21. Conceded by Bruno Jordao. Attempt missed. Heriberto Tavares (Portugal U21) left footed shot from outside the box is close, but misses to the right. Attempt missed. Christian Capone (Italy U21) right footed shot from the centre of the box is close, but misses to the right. Assisted by Vittorio Parigini. Davide Calabria (Italy U21) wins a free kick in the defensive half. Goal! Portugal U21 3, Italy U21 2. Federico Bonazzoli (Italy U21) converts the penalty with a left footed shot to the bottom right corner. Penalty conceded by Jorge Fernandes (Portugal U21) after a foul in the penalty area. Penalty Italy U21. Federico Bonazzoli draws a foul in the penalty area. Attempt saved. Heriberto Tavares (Portugal U21) left footed shot from the right side of the box is saved in the bottom right corner. Assisted by João Félix. Offside, Italy U21. Gianluca Mancini tries a through ball, but Federico Bonazzoli is caught offside. Nicolò Barella (Italy U21) is shown the yellow card for a bad foul. João Filipe (Portugal U21) wins a free kick on the left wing. Foul by Nicolò Barella (Italy U21). Substitution, Italy U21. Christian Capone replaces Daniele Verde. Substitution, Italy U21. 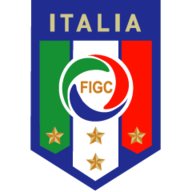 Sebastiano Luperto replaces Filippo Romagna. Substitution, Italy U21. Federico Bonazzoli replaces Patrick Cutrone. Attempt missed. Patrick Cutrone (Italy U21) left footed shot from the left side of the box is close, but misses to the left. Assisted by Daniele Verde. Bruno Jordao (Portugal U21) wins a free kick in the defensive half. Foul by Alessandro Murgia (Italy U21). Offside, Portugal U21. Pedro Amaral tries a through ball, but Heriberto Tavares is caught offside. Foul by João Félix (Portugal U21). Alessandro Murgia (Italy U21) wins a free kick in the defensive half. Attempt blocked. Heriberto Tavares (Portugal U21) right footed shot from very close range is blocked. Assisted by Bruno Jordao. Attempt saved. João Félix (Portugal U21) left footed shot from outside the box is saved in the bottom left corner. Foul by Bruno Jordao (Portugal U21). Alessandro Murgia (Italy U21) wins a free kick on the left wing. Attempt saved. Jorge Fernandes (Portugal U21) right footed shot from outside the box is saved in the centre of the goal. Substitution, Portugal U21. Diogo Costa replaces Joel Pereira. Substitution, Portugal U21. João Filipe replaces Diogo Gonçalves. Substitution, Portugal U21. Gil Dias replaces Diogo Jota. Substitution, Portugal U21. João Félix replaces Bruno Xadas. Substitution, Portugal U21. Heriberto Tavares replaces Stephen Eustáquio. Substitution, Portugal U21. Bruno Jordao replaces André Horta. Substitution, Portugal U21. Bruno Costa replaces Pepe. Substitution, Portugal U21. Pedro Amaral replaces Yuri Ribeiro. Second Half begins Portugal U21 3, Italy U21 1. First Half ends, Portugal U21 3, Italy U21 1. Goal! Portugal U21 3, Italy U21 1. Diogo Gonçalves (Portugal U21) left footed shot from very close range to the bottom left corner. Assisted by Bruno Xadas. Offside, Italy U21. Daniele Verde tries a through ball, but Patrick Cutrone is caught offside. Attempt blocked. Daniele Verde (Italy U21) left footed shot from the right side of the box is blocked. Assisted by Nicolò Barella. Bruno Xadas (Portugal U21) wins a free kick in the attacking half. Foul by Gianluca Mancini (Italy U21). Bruno Xadas (Portugal U21) wins a free kick on the left wing. Offside, Italy U21. Daniele Verde tries a through ball, but Alessandro Murgia is caught offside. Gianluca Mancini (Italy U21) wins a free kick in the defensive half. Foul by Bruno Xadas (Portugal U21). Attempt missed. Diogo Jota (Portugal U21) right footed shot from the centre of the box is close, but misses to the right following a fast break. Goal! Portugal U21 2, Italy U21 1. Vittorio Parigini (Italy U21) left footed shot from the left side of the six yard box to the bottom left corner. Assisted by Patrick Cutrone. Attempt missed. Patrick Cutrone (Italy U21) right footed shot from very close range misses to the left. Assisted by Daniele Verde with a cross. Attempt missed. André Horta (Portugal U21) right footed shot from outside the box misses to the right. Corner, Italy U21. Conceded by Ferro. Attempt blocked. Daniele Verde (Italy U21) left footed shot from outside the box is blocked. Assisted by Nicolò Barella. Filippo Romagna (Italy U21) wins a free kick in the defensive half. Foul by Diogo Gonçalves (Portugal U21). Goal! Portugal U21 2, Italy U21 0. Diogo Jota (Portugal U21) right footed shot from the centre of the box to the top right corner. Foul by Diogo Jota (Portugal U21). Offside, Italy U21. Davide Calabria tries a through ball, but Patrick Cutrone is caught offside. Foul by Filippo Romagna (Italy U21). Diogo Jota (Portugal U21) wins a free kick in the defensive half. Goal! Portugal U21 1, Italy U21 0. Diogo Jota (Portugal U21) left footed shot from the left side of the six yard box to the bottom right corner. Assisted by Diogo Gonçalves with a cross. Offside, Italy U21. Raoul Petretta tries a through ball, but Daniele Verde is caught offside. Corner, Italy U21. Conceded by Stephen Eustáquio. Patrick Cutrone (Italy U21) wins a free kick in the attacking half. Foul by Jorge Fernandes (Portugal U21). Vittorio Parigini (Italy U21) wins a free kick on the right wing. Corner, Italy U21. Conceded by André Horta. Attempt blocked. Nicolò Barella (Italy U21) right footed shot from the centre of the box is blocked. Assisted by Daniele Verde. Offside, Italy U21. Filippo Romagna tries a through ball, but Vittorio Parigini is caught offside. Foul by Fernando Fonseca (Portugal U21). Attempt saved. Vittorio Parigini (Italy U21) right footed shot from long range on the left is saved in the centre of the goal. Assisted by Alessandro Murgia. Attempt saved. Daniele Verde (Italy U21) left footed shot from a difficult angle on the right is saved in the centre of the goal. Assisted by Patrick Cutrone with a through ball.